If one knows a storm is brewing, but takes no measures to prepare for it, when the storm hits, who is to blame for the damage? The storm... or those who did not prepare for it? Last week, the New York Times descended to a new low—with the publication of a particularly infuriating and offensive anti-Israel editorial—that was so distortive, deceptive and deceitful regarding the Jewish state and its democratically elected prime minister—that some less charitable souls than me might almost be tempted to say that it would have done Der Stürmer proud. Doubtless, many will claim that even the slightest hint that any such comparison is even vaguely valid is wildly inappropriate. True the NYT editorial did not sport a crude cartoon of a conniving, hooked nosed, money-grasping Jewish prime minister. But it did, however, include virtually everything else. It seized on the recent government decision to build 100 new homes in the existing community of Shiloh to unleash a vicious attack on Netanyahu, liberally peppered with the basest anti-Semitic innuendo portraying him as devious, sly and underhand—whom those pesky Jews, inexplicably, keep electing in free and fair elections. But the NYT Judeophobic barbs were not limited to Netanyahu alone. It went on to allude darkly that it was the demonic powers of Jews that caused George Bush sr. to lose his 1990 bid for re-election because of his withholding US loan guarantees over a dispute regarding the “settlements”. The thinly veiled accusation is unmistakably clear: The avaricious land-grabbing Jews are hell-bent on depriving the poor Palestinian-Arabs for a chance of statehood. Nothing—literally nothing—about belligerent Palestinian rejectionism was mentioned—even hinted at—as a contributing factor for the continuing conflict. Everything is the fault of the Jewish state—despite the wrenching concessions it has made, both politically and territorially, over the past decades. Virtually every line in the editorial was either entirely mendacious or egregiously misleading. Exposing the entire web of falsehood and deception that comprises this shamefully biased excuse for journalism would require at least an entire column—if not beyond that. This is a task I shall postpone for a later date. Indeed, there are gathering signs, of which the NYT editorial is but one, that the Obama administration is planning to exploit the presidential “interregnum” (between the election and the inauguration of the next president), in which there is no need to fear Jewish retribution, to unleash a savage diplomatic attack on Israel to compel it to accept far-reaching concessions on the Palestinian issue. Thus, quoting senior congressional sources, The Weekly Standard (TWS) warns: “The Obama administration is manufacturing a crisis with Israel in anticipation of a post-election diplomatic push targeting the Jewish state, and this past week launched a series of broadsides criticizing the Israelis through the media and in press briefings”. Of course the recent incident of the planned construction of a handful of new houses in the confines of an existing community has purposely been blown out of all proportion by the Obama administration. According TWS sources “President Obama has been ‘waiting for an opening’ to condemn Israel. The recent decision [to build]… in an existing community that did not expand the boundaries at all [is] not something that should even make the news in Israel, let alone the U.S."
But this malicious choreographing of conflict should hardly have been unexpected. Indeed it is strongly reminiscent of the 2010-hullabaloo the Obama administration made over the approval for future construction in the northern Jerusalem suburb of Ramat Shlomo. The approval, decided upon during the visit of vice-president Joe Biden, was deemed a grave insult to the US, despite the fact that Biden himself had co-sponsored several Senate resolutions stipulating that Jerusalem should remain Israel’s undivided capital, under Israeli sovereignty. Indeed, as Daniel Greenfield caustically points out in “The deadly Israeli house”, Biden then feigned outrage “when the Israelis actually took him at his word”. Thus, although this kind of animosity towards the Jewish state in not new, this time it appears "far more coordinated and aggressive"—perhaps spurred on by the fact that after the elections and before the inauguration—harsh anti-Israel measures can be undertaken with relative impunity, and immunity from deleterious political repercussions from the dreaded pro-Israel lobbies. After all, ever since he assumed office in Jan 2009 (and arguably well-before that), the inherent antipathy that Obama harbored towards Israel—together with his undisguised Islamophilic proclivities—have been painfully clear to anyone with the intellectual integrity to read the abundantly unequivocal signs. Yet despite the fact that Netanyahu has been in power continuously for well over half a decade, he and his government have done virtually nothing to put in place effective mechanisms to contend with the pernicious effects of the White House’s predilections. Depressingly, this is a matter I have raised repeatedly in the past years, warning time and again of the gravely detrimental repercussion that would inevitably result from such dereliction—to no avail. See for example If I were Prime Minister…; My Billion-Dollar Budget: If I Were PM (Cont. ); Dereliction of Duty; Intellectual Warriors, Not Slicker Diplomats. The pitiful amounts allotted by Israel for the fight for the hearts and minds of the international community have all but left what British journalist, Melanie Phillips, termed “the battle field of the mind” to its adversaries—whether this be the Palestinians and their well-oiled propaganda machine or the inimical politically-correct mainstream media, exemplified by the NYT. With such a feeble effort made to establish Israel’s case in the world, there should be little surprise that the Palestinian narrative, portraying the Palestinian-Arabs as down-trodden, dispossessed victims of the Zionist ogre, has dominated the international discourse on the Israel-Arab conflict. This dismal situation is not a result of a lack of funds. It is rather a lack of political resolve and lack of political awareness of the crucial role public diplomacy plays in the nation’s strategic arsenal. After all, with a state budget of around $100 billion, allotting a mere 1% for public diplomacy would make a sum of one billion dollars available for making Israel’s case in the world, and no less important, debunking that of its adversaries. 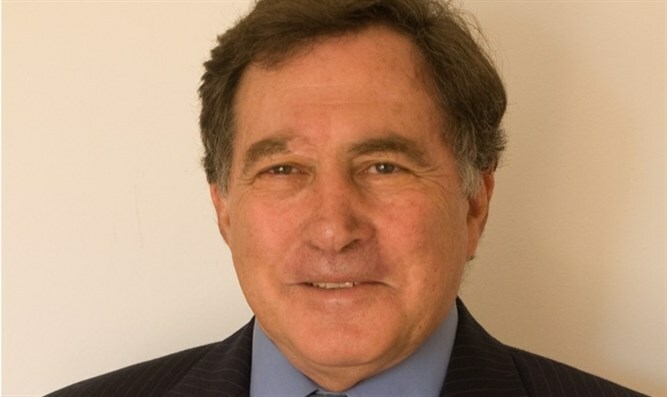 Such resources would not be devoted to attempts to win over implacable adversaries of Israel and the Zionist endeavor, but to the creation of a political climate in which their positions are exposed to be ridiculous, self-contradictory, immoral and irrational—and hence untenable as the basis for any policy decisions by any incumbent government. For example, when the NYT urges Obama to use his interregnum immunity to undertake drastic measures to preserve the option of a two-state solution, it is in fact urging preservation of the option to establish yet another homophobic, misogynistic, Muslim-majority tyranny, characterized by gender discrimination, persecution of homosexuals and the suppression of political dissidence. But if that was the manner in which the two-state option was portrayed, backed by the force of a billion dollar budget, driving pervasive social media campaigns, eye-catching billboards and impactful videos, together with a blitz of well-informed persuasive spokespersons across US campuses, it is doubtful whether any liberal leaning political party could embrace it for long. Sadly, in light of his Bar Ilan speech, this is not a line of augment that Netanyahu can pursue officially and would necessarily have to work through “proxies”—government-funded NGOs able to express positions that might be too “forthright” for Israeli officialdom to adopt. Yet here too, the Netanyahu government has shown little initiative. The reason for this is clear: Since the Palestinian narrative and Zionist narrative are mutually exclusive—at least in practice, if not in theory, any attempt to re-legitimize the Zionist narrative must, ipso facto, entail the de-legitimization of the Palestinian narrative. But since the Netanyahu government is wedded to the two-state formula—which presupposes the legitimacy of the Palestinian narrative –it cannot work to undermine that legitimacy. Thus, while on the one hand, foreign governments can finance a myriad of NGOs, with hundreds of millions of dollars, to besmirch Israel’s name and to create an inclement political climate that facilitates hostile measures against it; the Israeli government, on the other hand, does nothing to finance cash-strapped NGOs, fighting desperately on miniscule budgets, to defend Israel’s name and to create a favorable political climate that impedes hostile measures against it. Despite all the chatter about the unprecedentedly close intelligence and military cooperation between Israel and the US, a far from implausible case could be made for the claim that the Obama administration is—intentionally or otherwise—laying the foundations for Israel’s demise. After all, for Israel a true nightmare situation would be the establishment of a mega-terror base in Judea-Samaria, ten times that of Gaza, which would complete its encirclement in the north, east and south by radical Islamist forces that could wage an ongoing war of attrition against it under the protective umbrella of a nuclear Iran. This is the grim specter that is emerging as the next session of the UN Security Council approaches –with an inimical US president, unshackled from any restraining electoral consideration, facing off against a beleaguered Israel. 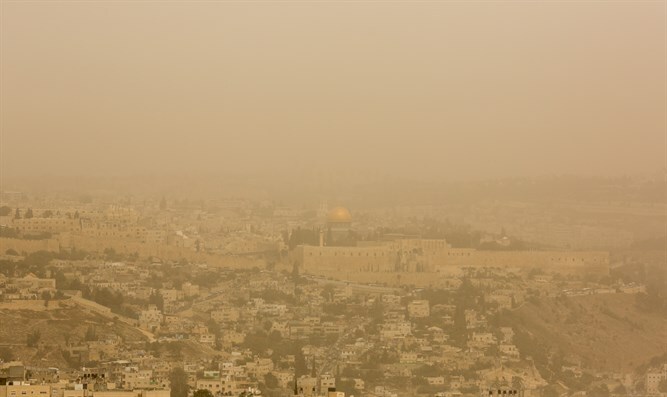 This is the existential storm that Israel may soon have to weather—very much on its own. This is a storm that has been long brewing. Sadly, few measures have been taken to deal with it—measures that could, and should, have been taken. So, if one knows a storm is brewing, but takes no measures to prepare for it, when the storm hits, who is to blame for the damage? The storm... or those who did not prepare for it?